The need to maintain and upgrade servers is a considerable nuisance and cost. Not only does the hardware get old, but operating systems change and applications become more sophisticated. When it’s time to replace your server due to age, a non-supported operating system, poor performance or reliability issues, or warranty expiry, the costs can be significant. Do you have a plan to cover the many thousands required to replace your current server? Not only are servers complicated pieces of equipment, but once you install a server, you’re dependent on professional IT Support. Ongoing costs include; system checks, updates, backups, virus protection, monitoring, security not to mention time spent diagnosing issues when something goes wrong. Regular visits from IT Support can add up to over $10,000 per year. Best practice for servers is running daily, weekly and monthly backups to lower the risk of lost data, which can be easy for you or your IT support to forget. Additionally, there is no guarantee that you’ll be able to restore from a backup and there are costs involved. It’s common for backups to fail or the data be corrupt, which you only find out when it’s too late. When a server goes down, it’s usually when you least expect it. Frequently they require a restart, patch or upgrade which takes time, often days for your IT person to restore. When your server dies, your entire firm is entirely out of action. When this happens, it’s costing you productivity, potential business and lost work on billable hours. Tradition servers are expensive to run because they are not energy efficient, requiring an air-conditioned room to avoid the risk of overheating and causing a catastrophic meltdown. Imagine the cost of being out of action for days, if not weeks, without access to your data. 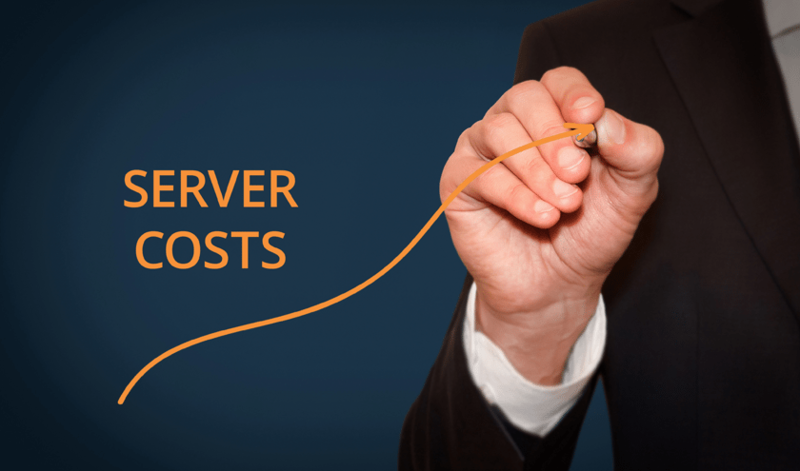 The ongoing costs of upgrading your server to keep up with your firm’s growth will increase beyond your initial upfront cost. By placing the server at the core of your firm, you are limiting the potential for future growth and success. Having a server impacts your firm’s productivity by restricting work to the office. A recent Harvard Business Review article reported that employees working from home increase their productivity by 13.5%. An increase in productivity gives your firm the opportunity to grow billable hours. LEAP in the Cloud simplifies this for you. By using a cloud-based practice management platform, you eliminate the need to run and maintain expensive servers. Call 1300 596 365 to learn how Cloud technology can benefit your law firm and save you money! Previous article Is your firm complacent about obtaining signed cost agreements?